There wasn’t really much to unbox after receiving my DS218j – it’s just the product itself, a power supply along with a quick start guide. All the finer details are explained on Synology’s website. If you need full details, you can download the complete manual. From a technical perspective, the DS218j won’t wow you. It features a dual-core 1.3 GHz processor and an underwhelming 512MB RAM. That means you won’t be able to smoothly run all of Synology’s packages with dozens of users connected at the same time. What’s more important however in this price-range is the read/write speed. At about 113MB/s it’s roughly the equivalent of the more expensive Synology boxes. And I love its eco-friendliness – about 17W power draw is really easy on the wallet for 24/7 operation. Each Diskstation comes loaded with dozens of optional Synology packages covering virtually every scenario imagineable. From basic file sharing up to remote camera surveillance or mail servers – the DS218j is the swiss army knife of NAS products. If you wanted, you could host your own website or set up your own Google Drive alternative. I personally use DS File, Synology Drive, Video Station and Hyper Backup on a daily basis. More on my backup strategy below. 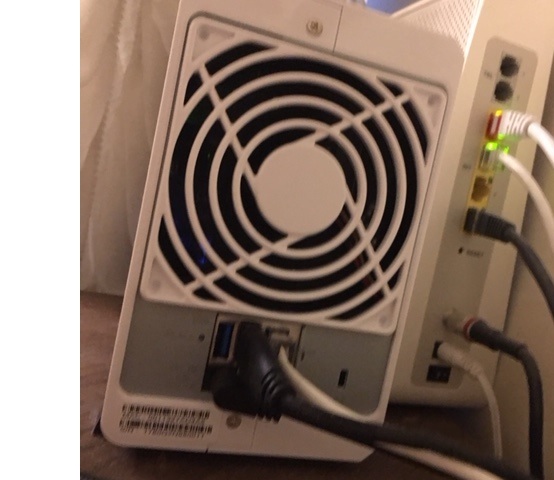 I hate modifying router configurations and the hassles of making a NAS accessible from outside of my home. Fortunately, Synology now offers a feature called QuickConnect which acts like a tunnel to your NAS. This is the basic filesharing component which supports SMB and AFP protocols. 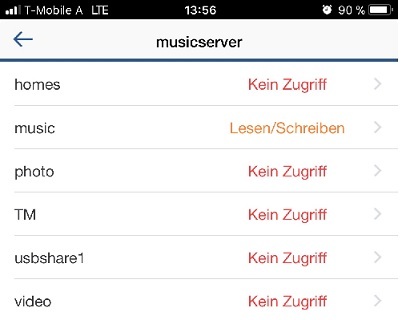 I personally share my music library as an SMB share with Roon Server. Provides a lightweight UPnP audio server that can be remote controlled with a tablet and supports Tidal and Qobuz streaming out of the box. Just add a UPnP client such as the Raspberry PI and you are done. Perfect if you are going to be using the NAS as the standalone central hub of your music collection. Plex is a very complex and feature-rich media streaming solution that covers not only audio but photos, movies, TV shows and even live streaming capabilities. Although the basic version is essentially free, stuff like cloud syncing, parental controls and multi user capabilities are reserved for paying subscribers. 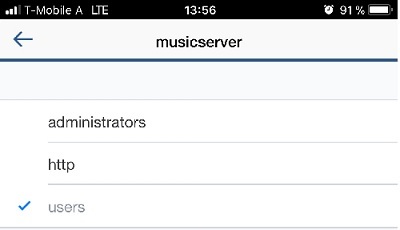 For dedicated fans of the Squeezebox, this is the server backend to install. Since the Squeezebox is no longer made, many audiophiles (including myself) swear by piCorePlayer, an open-source replacement that turns a Raspberry PI into a modern Squeezebox equivalent. I’ve tried it and it works fantastic. Slim Devices and Logitech were so far ahead of their time when the SB3 came out in 2005. It’s amazing to see a product in its 13th year to still receive upgrades and work with the latest streaming services. 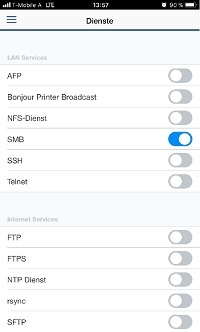 After moving your music collection over to the NAS, you basically want to create an SMB share along with a user account that has access to it. 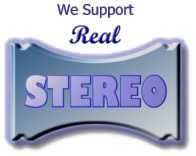 I personally keep my music within the \music share. 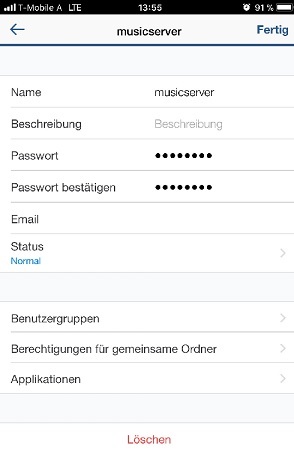 I also created a limited user account named “musicserver” that has only access to the music. Roon Server would then connect to that fileshare. Check out my pics below to see how I have configured Roon. Would I buy the Synology DS218j again? Hmm…kind of. At the current price point of about $170 on Amazon.com (advertisement) I have zero complaints and I’m fine with the performance. Everything just works. But depending on your needs, you may desire a faster CPU. 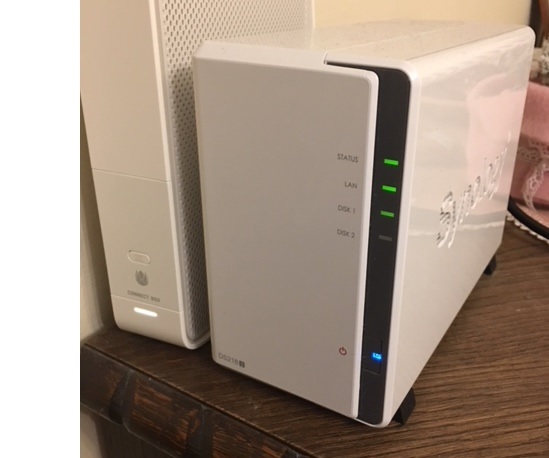 If I ever buy another Synology product in the future, I’m probably going to go for a higher-end model. Once you discover what the software packages are capable of, you will probably want to run more services than you originally intended. And this is when decent CPU horsepower comes in handy. Fantastic write-up that just so happens to coincide with my current audiophile “streaming” need/desires.